He ascended the throne to become George VI after the abdication of his elder brother, Edward. 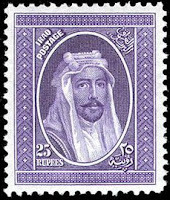 Named after his grandfather - Queen Victoria's husband - Prince Albert, Albert Frederick Arthur George was King of the United Kingdom and the Dominions of the British Commonwealth from 1936 to 1952. He was the last Emperor of India and the first Head of the Commonwealth. His full title was His Majesty Farouk I, by the grace of God, King of Egypt and the Sudan, Sovereign of Nubia, of Kordofan and of Darfur. 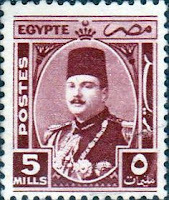 He was overthrown in the 1952 military coup d'état and forced to abdicate in favour of his infant son Ahmed Fuad, who succeeded him as Fuad II. He died in exile in Italy in 1965. 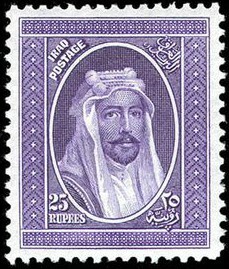 Fayṣal al-Awwal ibn al-Ḥusayn ibn ‘Alī al-Hāshimī was King of the Arab Kingdom of Syria for a few months in 1920 until the monarchy was abolished, and was appointed King of Iraq from 1921 to 1933 by the British government partly on the recommendation of Lawrence of Arabia whom he met during WWI and partly because of his conciliatory attitude towards encouraging a pan-Arab nationalism. 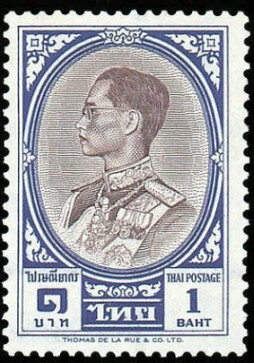 King Bhumibol the Great was the ninth monarch of Thailand from the Chakri dynasty as Rama IX. Reigning since 1946 he was, at the time of his death in October 2016, the world's longest-serving head of state, the longest-reigning monarch in Thai history and the longest-serving monarch having reigned only as an adult, serving for 70 years, 126 days. A one year period of mourning was announced with a royal cremation ceremony to be held later this month. I have hoped to read about some kings today! The fourth was unknown to me. I like these classic designs. if you are interested, you should google his mourning and cremation - it is quite the production! In contrary to Eva, I only knew the king on the fourth stamp. Not only his death a year ago was in the Dutch news (and recently I learned from a Dutch news site about his cremation which will take place more than a year after his passing away), but also I learned about him thanks to two women from Thailand I had mail contact with thanks to instagram. He has been king from the day their parents, even their grandparents had been born. The day their king passed away, they posted sad photos on their instagram account, and they felt comforted by our condolences from all-over the world. I remembered that he had died a year ago, and knew about the year of mourning, but didn't realize he had been lying in state the whole time so that everyone (virtually everyone who wished!) could visit and pay respects before the cremation. ...I was never into the royalty thing. A nice selection of designs. I especially like the Faysal one, pity they didn't listen more to Lawrence of Arabia and the middle east might not be in such a mess. Definitely a delicate situation made worse by some incongruous decisions, and not listening. I LOVE these--and the history behind them. Fascinating. It was fun to look up the stories of these men. Keeping a body for a tear seems morbid to me, even for a king (who I hadn't heard of either). 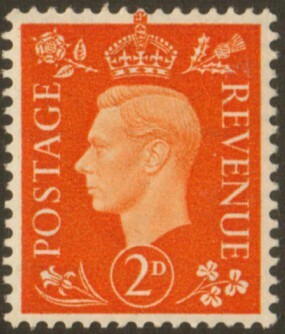 Some similarity exists between the designs of the stamps - excluding the GB. 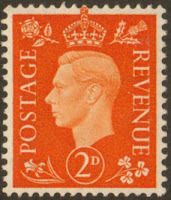 After I posted, I wished I'd looked harder for a George VI inside a medallion stamp so all four would look the same. We don't even have official 'days of mourning' here, so a whole year does seem excessive.